Shears with Stork model. Born at the beginning to cut the children nails, find their space in the tailor world as embroidery scissor. The Stork symbolize the parents respect, the affection and love/fondness. Also with this particular form, they are perfect and efficiency for the details care. Available chromed and gold plated 24K with 99% of pureness. Perfect as gift for a tailor lover, they are a touch of class! 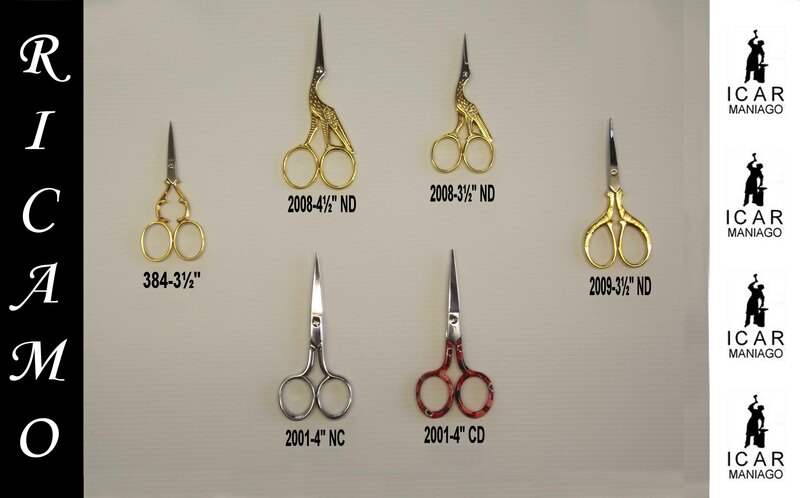 All the ICAR shears come from a particular and careful steel selection, suitable to the type of work to be done. They need more than 250 handmade processes to be finished.